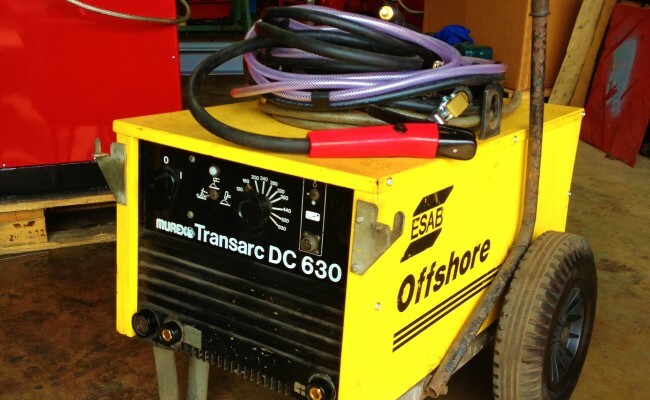 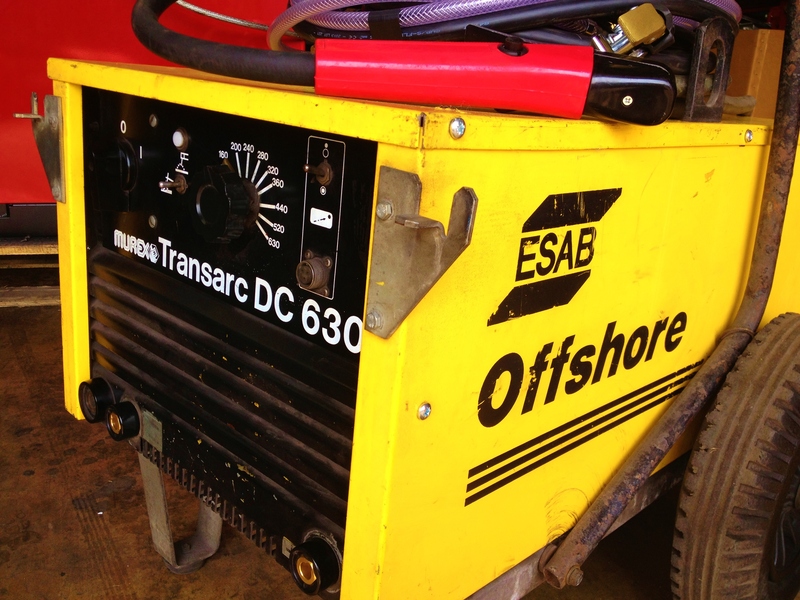 Here is one of our Murex ESAB Offshore Transarc DC 630 air arc gouging machines for hire, also capable of MMA stick welding, and complete with K4000 carbon torch, heavy duty earth lead and any length extension leads. 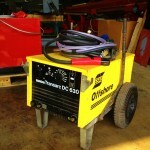 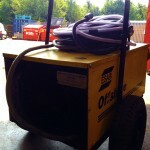 We are also supply any length compressor air hose that you require for your site job. 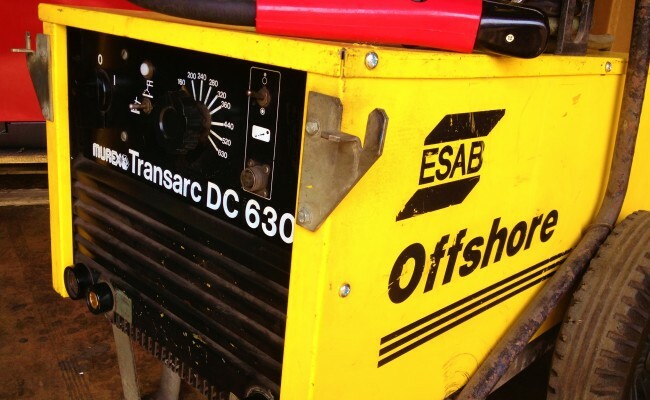 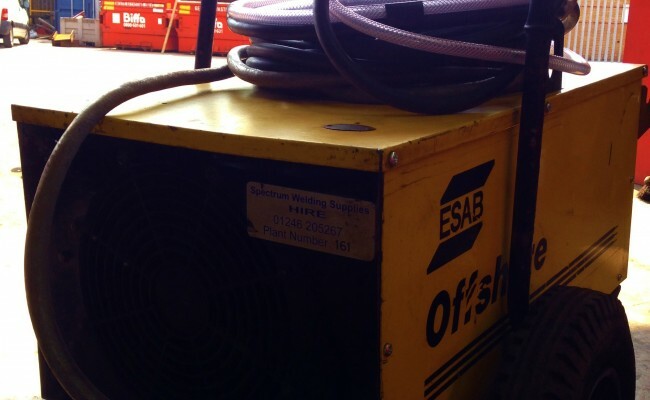 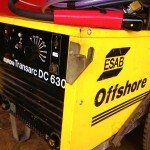 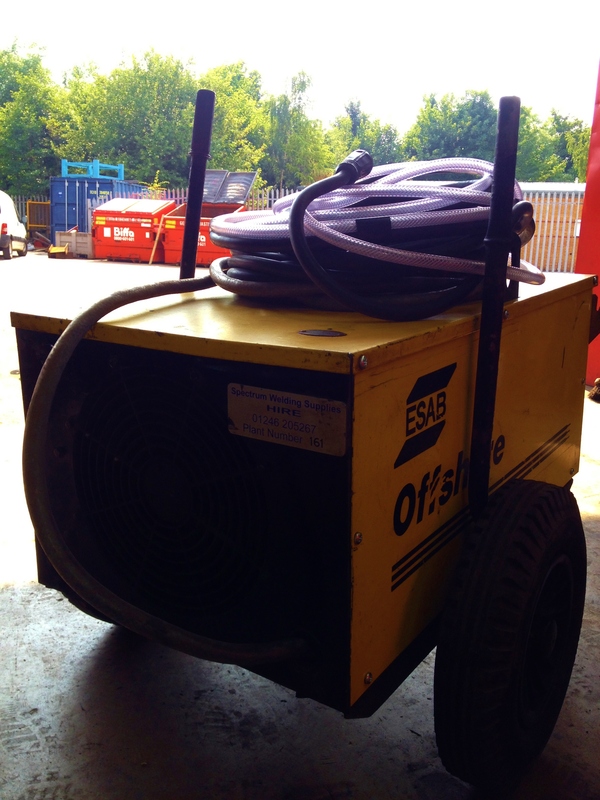 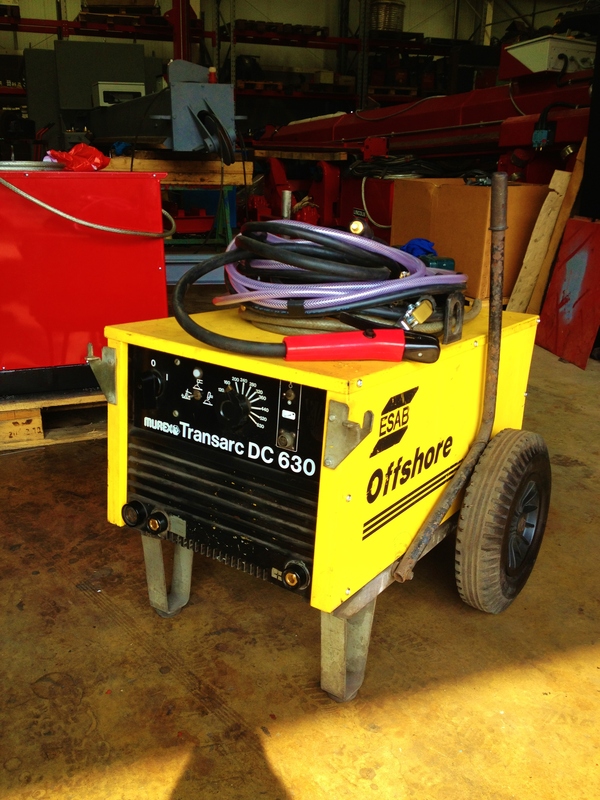 If you need to melt down 10mm+ carbon then we also stock the 630's bigger brother, the ESAB LHF 800.